Vapor Pressure Deficit (VPD) is the theoretical difference in vapor pressure between a leaf surface and the air at a given temperature. In other words, how much does water want to evaporate from a leaf? 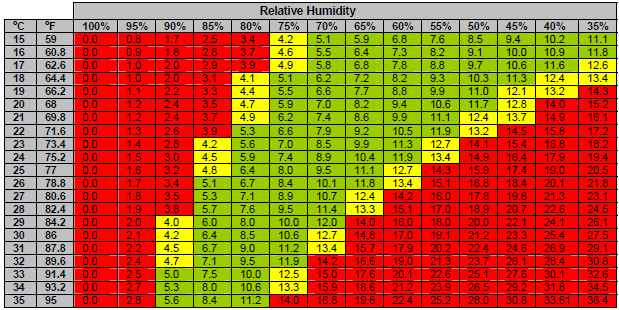 A high VPD correlates with very dry conditions (low RH), and a low VPD correlates with very wet conditions (high RH). Below is an example VPD chart for a theoretical plant.